House painter Thea Marlow hasn’t been sleeping very well. Her nights are plagued by dreams, the setting by the water and the mysterious man who appears in them always the same. But the outcome of the dream changes nightly: sometimes the man loves her...and sometimes he kills her. Desperate for some much needed relaxation, Thea travels to her family’s remote country lake house. Imagine her surprise when a knock at the door reveals the man from her dreams...who happens to have just rented the house next door. 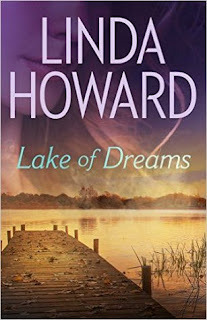 Lake of Dreams by Linda Howard is a 2016 Pocket Star Books publication. I was provided a copy of this book by the publisher, as an XOXpert, the official street team of XOXO After Dark. 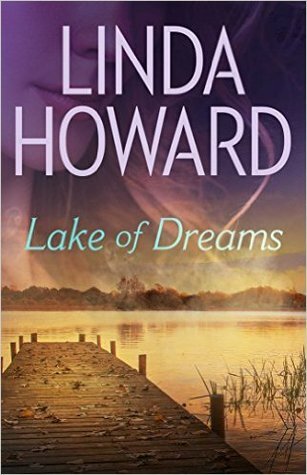 Lake of Dreams was originally published way back in the mid-nineties, but is now available in digital format. This book is a short story/novella length paranormal romance centered around Thea, a woman haunted by vivid dreams, alternately sexual or nightmarish, in which her dream lover expertly makes love to her, or he becomes the villain and kills her. The dreams are becoming more vivid and more frequent, so Thea decides to spend some down time at her family’s lodge. But, when a neighbor who introduces himself as Richard, stops by for a visit, she recognizes him as her dream lover. Is he literally the man of her dreams or is he dangerous? For the modern reader, the instant connection with the couple may seem outmoded. However, since this is a such a short story, try to stick it out, because there is an explanation for that as the book progresses. 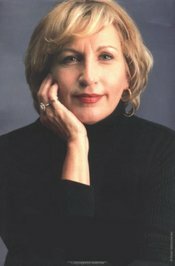 Linda Howard is best known for her romantic suspense novels but has made a few forays into the paranormal realm, too. This story, at least in my opinion, has a sinister quality to it, since, like Thea, we do not know if should trust Richard or not. I often like the hero with a dark past or one that seems a little dangerous, at first. Again, stick with the book, and I think you can see how the author’s method was actually pretty clever. I enjoyed the dream like quality of the story, and felt the author did a great job of creating that atmosphere of having just woken from a vivid dreams that felt so real, but left you feeling somewhat disoriented and unsure if it was real or not. The theme throughout the story is trust, mostly the lack of trust Thea has in Richard. But, as we all know, love can exist without trust, but it seriously complicates matters, and most certainly has consequences. Only love can transcend time, cross over between life and death in order to finally take hold of something that has remained just outside of its grasp for so long. Without trust, love will struggle to maintain it's strength, and until it is firmly established, it can’t grow to its full potential. Overall, I was happy to discover this lost, and perhaps slightly misunderstood, little gem by Linda Howard. I am seeing several of her backlisted titles reissued in digital format and couldn’t be happier to discover some of her lesser known works and enjoy re-reading some of my favorite titles by one of my favorite authors.